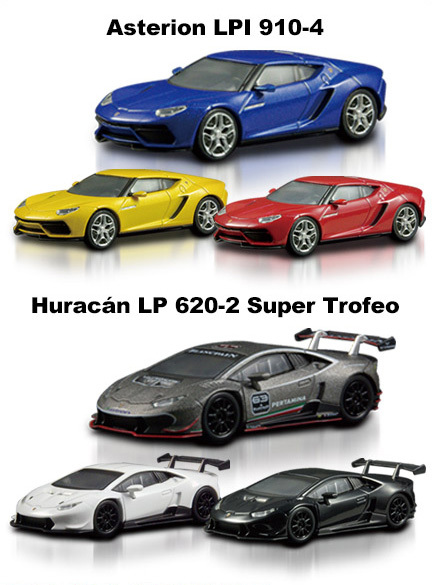 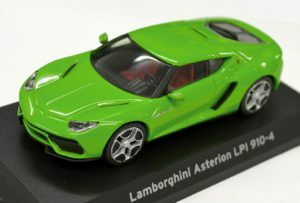 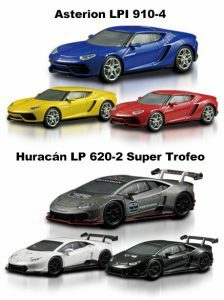 The Asterion LPI 910-4 and the Huracan LP 620-2 Super Trofeo are coming to the 1/64 world thanks to Kyosho and Circle K.
Only 2 models in 3 colors for this special collection. 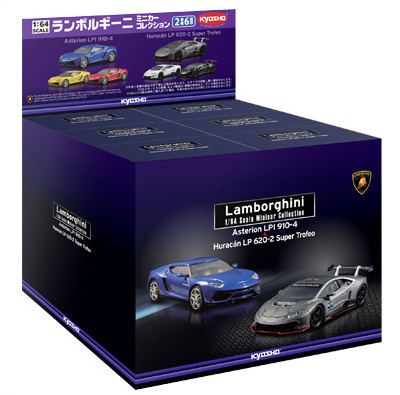 The case of 6 cars will include one of each variation. 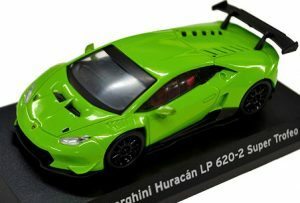 Circle K online shop will also have two exclusive editions in Verde Ithaca color. 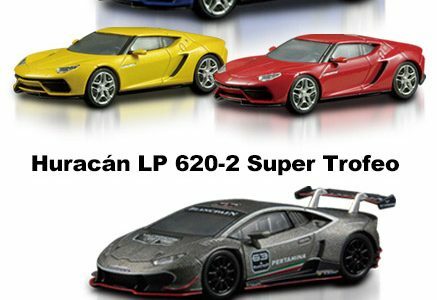 The Asterion and the Huracan Super Trofeo will be released in July.